Currently playing to full houses in the US, following a sold out European and UK tour, Angus & Julia Stone announce the extension of their 2018 Australian metro dates to a huge nationwide run through regional centres in April and May. Joining them on the road as special guest is powerhouse Melbourne singer-songwriter Angie McMahon, with her bold vocals and beautiful guitar tones. Unveiled in September, the Stones’ latest album Snow is the latest in a body of work dating all the way back to 2006, when Angus & Julia first emerged from Sydney’s Northern Beaches with their signature harmonies and ethereal song craft. Recorded in Angus’ Byron Bay cottage, Snow is the first album written entirely in collaboration – a process initiated by producer Rick Rubin while working on the pair’s 2014 self-titled record. On release, Snow rocketed straight to number 2 on the ARIA Albums Chart, becoming the duo’s fourth consecutive top 5 album in the process – a remarkable achievement in this constantly shifting musical landscape. The record was also hand picked as triple j’s feature album and has charted worldwide, hitting the top 20 in the US, UK, France, Switzerland and New Zealand. Latest single Chateau has struck a special chord with audiences around the world, proving a real highlight of their live shows and racking up over 2.5 million video views. View HERE. The narrative is played out by leading Australian actors Courtney Eaton, who starred in Mad Max Fury Road, and Dacre Montgomery, who stars as ‘Billy’ in the Netflix hit series ‘Stranger Things 2’. It continues to grow each week and has cracked the Top 50 ARIA streaming chart (one of only three Australian acts in the chart) and it has now chalked up over 12 million streams worldwide on Spotify alone. In a highlight for fans and triple J listeners, Angus & Julia unveil the video for new track Cellar Door, as premiered on Nylon. 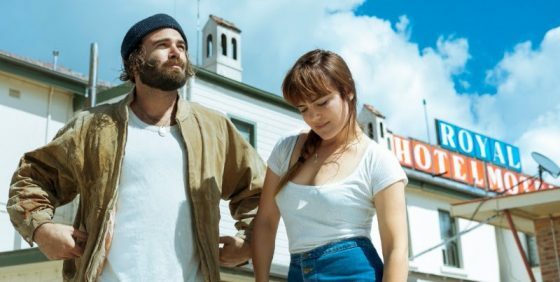 Angus & Julia Stone are set to take Snow across the country on an extensive regional tour in 2018. They will perform in every state and territory, visiting Rockhampton, Darwin, Bendigo, Launceston, Fremantle and everywhere in between. This expansive new set of dates is in addition to already announced city shows in Sydney, Melbourne and Brisbane and follows a sold out national tour on album release. Previous PostLive Review : Live – The Reunion World Tour at Sidney Myer Music Bowl, Melbourne – 17 November 2017Next PostDownload Melbourne 2018 Line Up Is Here!